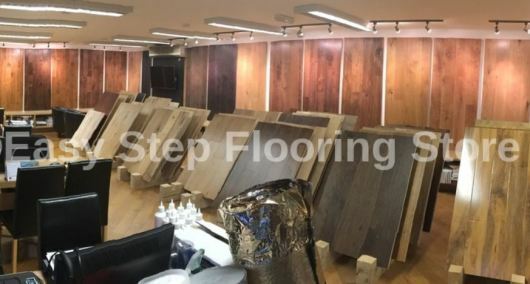 Easy Step Flooring , is the UK’s leading online flooring company specializing in a range of quality wood flooring to suit all tastes and budgets. We are a family owned business having been established since 2008 we have delivered high quality products at exceptional prices without any comprise on quality. We are small enough to treat customers as individuals, but with the knowledge & expertise to help you find your desired flooring. A high percentage of our business is from repeat business and from recommendation by our existing customers, Our modern, custom built new website has launched in 2018 include a hassle free process of ordering free samples, flooring & we are excited and eager at Easy Step Flooring to get to know you and help you with all of your floor covering needs. We are very experienced in both the residential and commercial areas. We look forward to meeting you at our London Showroom and thank you for your continued business throughout the years and remember, we're with you each EASY STEP of the way!!!! From classic to contemporary, you'll find your style at in our store. As styles change, you can be confident that you will receive the same quality and personalized service each and every time you need new flooring. It's the confidence that keeps our customers coming back and recommending our exceptional service to family and friends. We sell the highest quality wooden flooring at the best prices online, Buying Direct from the Major Manufactures from around the world, so we can then pass on the savings to you.